Before we start the weekend, I want to share a few updates on some of our favorites from the Catholic New Media world. Matthew Warner at National Catholic Register shot lots of great video at the Catholic New Media Celebration in August and edited it together into 10 short videos. Each video shows many different podcasters and bloggers commenting on a shared question. The last video, #10, stitches together the outtakes from the recordings. Shelly and I made it into all ten videos, including some pretty funny moments in the outtakes. Don't forget to take a moment and read his recent posts at NCRegister. Matt is always right on the money. Our good friend, Jeff Young, The Catholic Foodie recently released his first Catholic Foodie monthly newsletter. 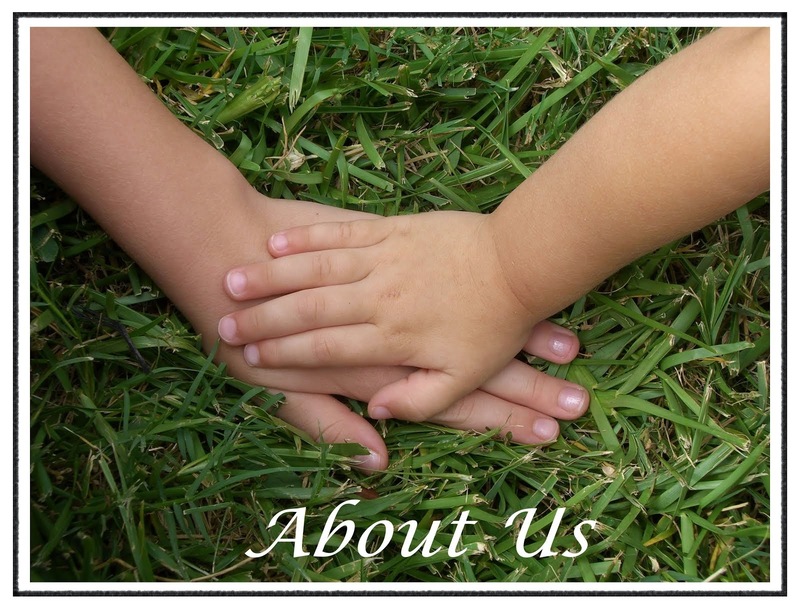 Shelly and I were invited to be contributors and submitted a column on family meal prayer. 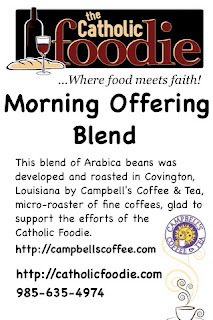 Jeff also began selling specialty Catholic Foodie Coffee, complete with a scripture insert. Guess what will be on my gift giving list this Christmas season! If you listen to Jeff's Catholic Foodie podcast, you have heard both Shelly and I call in from time to time with comments or stories for his show. In episode #81, Jeff discussed his fun experiences at the CNMC. Listening to that episode gave Shelly and I both the warm fuzzies, because it was like listening to someone talk about a family reunion. We have so many great memories of the CNMC, and of Jeff particularly, that it was a real treat to listen to that episode. We love that he calls us "the blogging sisters." How fun is that? I think one day Shelly and I must take a road trip to New Orleans to visit the Catholic Foodie in his kitchen. 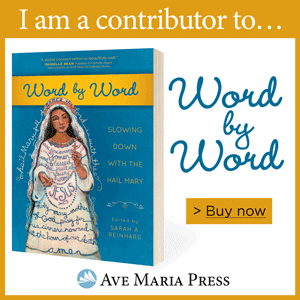 Let me also remind you that you need to go over to CatholicMom.com and check out Lisa Hendey's site. It is always full of helpful and inspirational columns, reviews, contests and commentaries. There really is something for everyone. I visit often to supplement my lesson plans now that I'm a catechist. 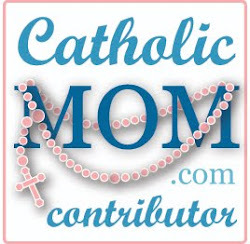 You can also find Shelly and I over at CatholicMom.com as regular contributors. CatholicVote has updated their awesome website in time for this election season. Head over there to check out their latest inspiring commercial and read about how Catholics can directly influence the upcoming elections. You will be amazed at the breadth of information assembled for you. Better yet, complete the information in this widget below to get started and take action! Keep up the excellent work! My prayers (and cheers!) are with y'all.